We now have all the official government survey maps of Panama available for FREE download. 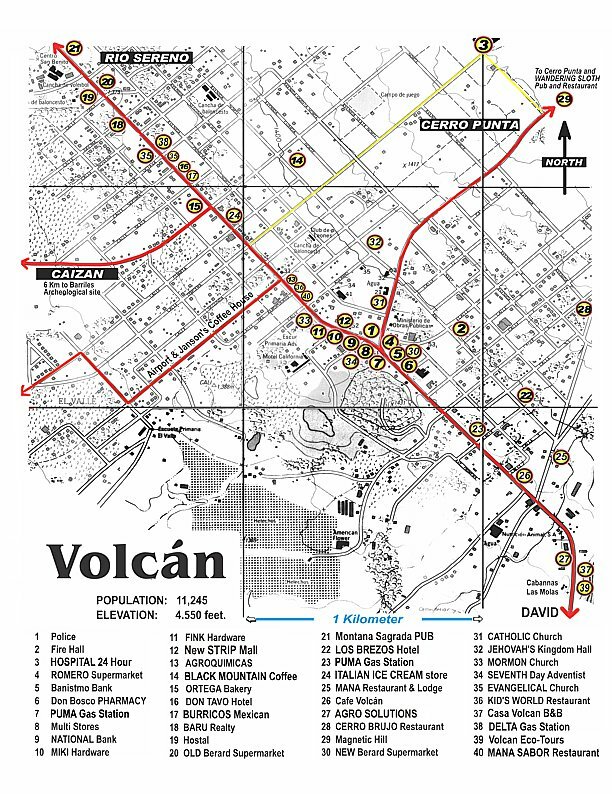 This is the latest March 2019 Tourist map of Volcan. There have been some major changes and more are to come. We are awaiting a new strip mall, a large CHINESE restaurant and our first REAL ALE PUB just opened. A place to retire? . . . Yes! A high resolution copy of this map is available for FREE. These are too big to be stored directly on this site, but if you Email me a request I will send them to you free of charge. Please put MAP REQUEST in the subject line. We have SURVEY maps of EVERY part of Panama and will try and size them down for Emailing. Please be specific as to what area you require. Full maps are 60 megs. in size so require reducing for our server.